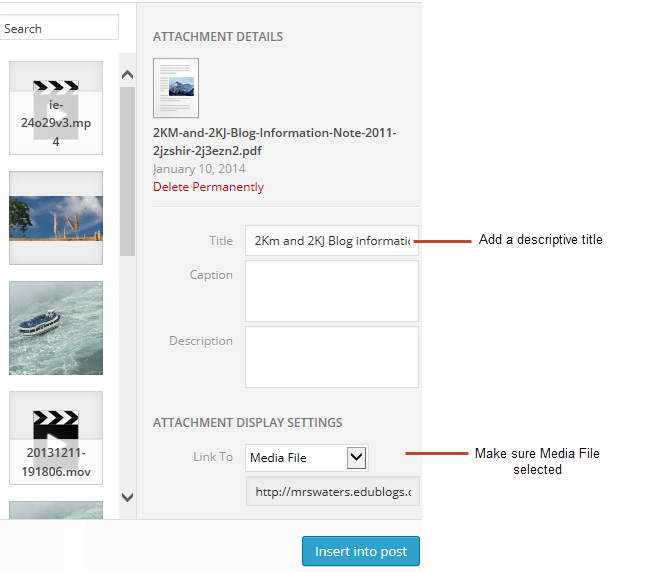 Besides inserting images, video and audio files you can also upload other file formats such as documents, PDF and PowerPoints directly into your posts and pages. This doesn’t embed your file in your post or page so you can view it directly embedded in the post (or page); it inserts a link to the file. When readers click on the link to the file it either opens up in another web browser or downloads the file onto their computer. This is handy for providing documents such as class notes, assignment information. 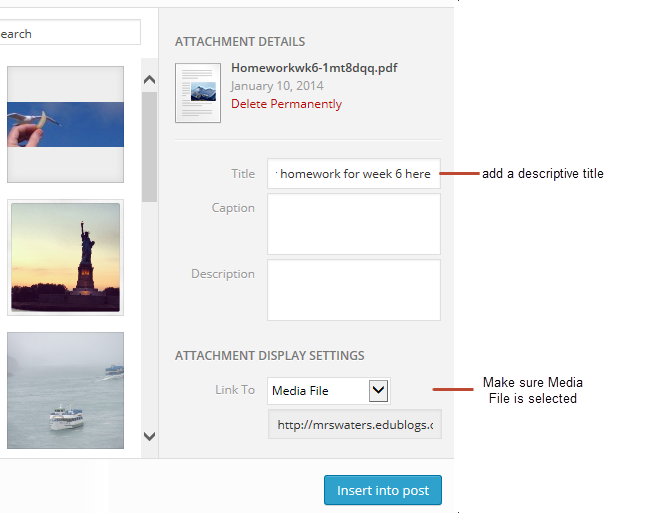 If you would like to embed an actual document, you can use the Embed Any Document plugin. It is an allowed file format. Use only letters and numbers in file names. Unusual characters in file names can cause problems with the file URL and may cause the file not to work. 2. Place your cursor where you want the document to appear and then click on the Add Media button. 3. 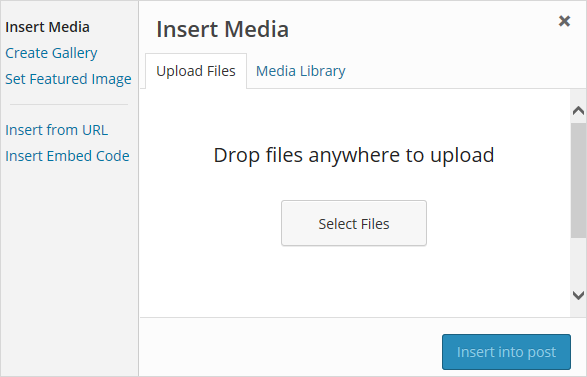 In the Add Media window click on the Upload files and then Select Files. 4. Click Open to start uploading the file. 5. While your file is uploading you will see a progress bar. 6. In the attachment details area insert a suitable title for the file. When your file is added to your post this title is the link your readers see so is best to use a title they can identify with. 7. Click Insert into Post. 8. 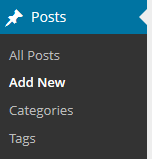 Your Add Media window should be closed and your file should now be inserted in your post. 9. Once published readers on the link to view or download the file onto their computer. 2. In the Add Media window click on the Insert From URL. 3. Paste the URL of the file and add a suitable title for the file. 5. Click Insert into Post. 6. Your Add Media window should be closed and your link to the file URL should now be inserted in your post. 7. Once published readers click on your link to view or download the file onto their computer. 3. In the Add Media window click on the Media Library tab. 4. Locate the file you want to add and click on it once. The selected file is highlighted with a blue border and a blue checkmark in the top right corner. 5. In the attachment details area insert a suitable title for the file. 6. Click Insert into Post. 6. Your Add Media window should be closed and your file should now be inserted in your post.